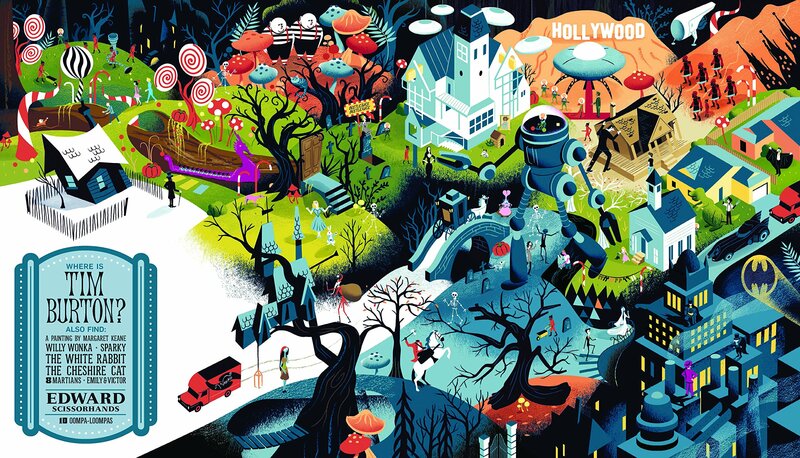 Can you find Edward Scissorhands, Steve Zissou, Mrs. Bates, and seven Gremlins? 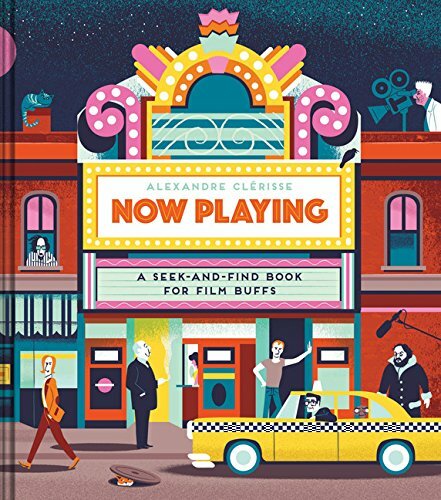 This deluxe seek-and-find for film buffs challenges viewers to locate iconic characters and elements from the work of 12 great directors within largeformat, sumptuously illustrated set-piece spreads (one for each director, with the Coen brothers as a pair). 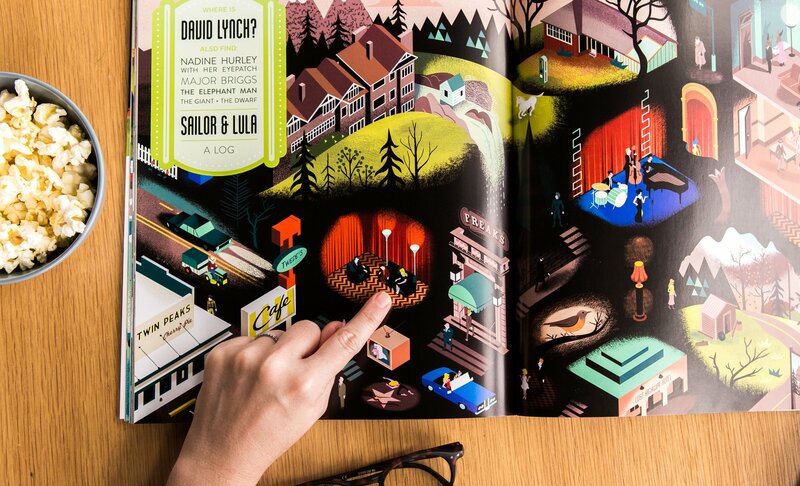 Featured here are Tim Burton, Stanley Kubrick, Wes Anderson, Alfred Hitchcock, Steven Spielberg, Quentin Tarantino, and more. 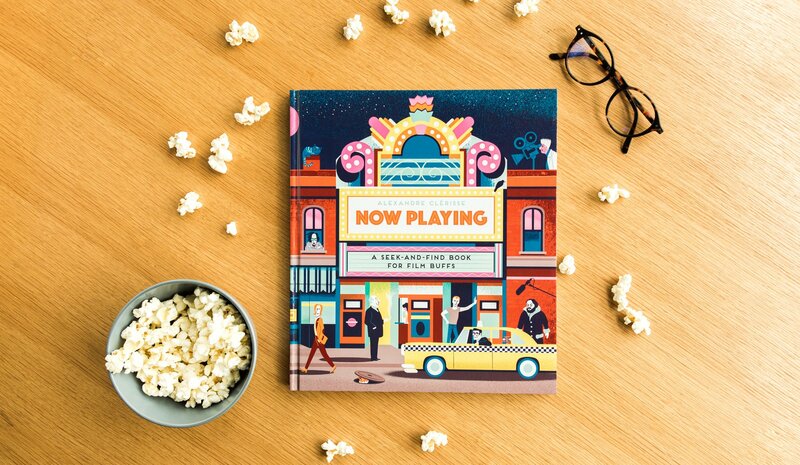 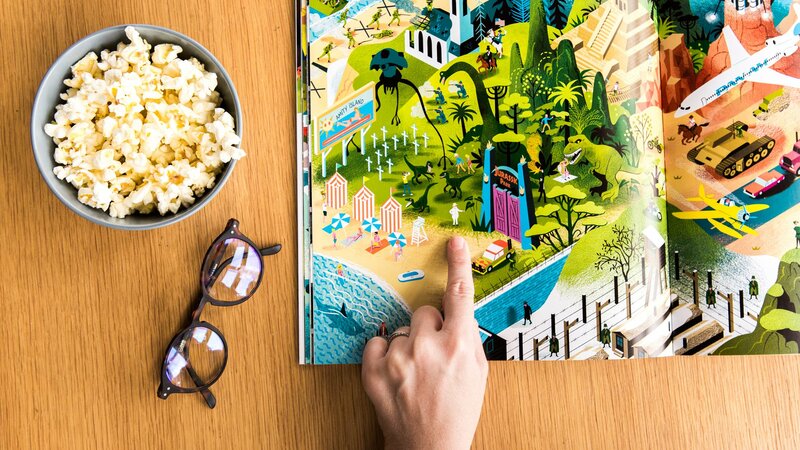 With answer keys following the spreads, and visual discovery and delight on every page, Now Playing is a beautifully packaged treat for movie and visual puzzle fans.